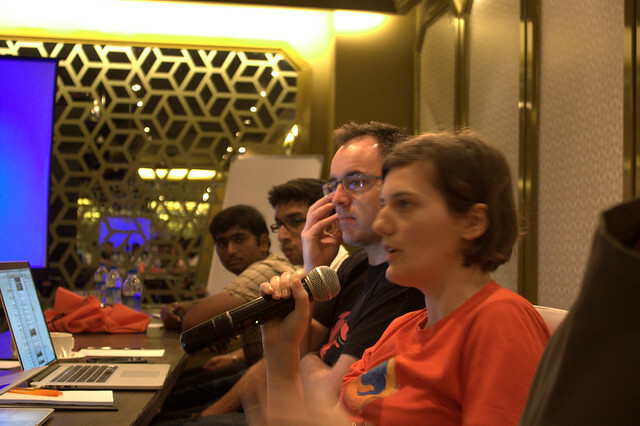 Mozilla India Community Meet up – What does the Fox say? 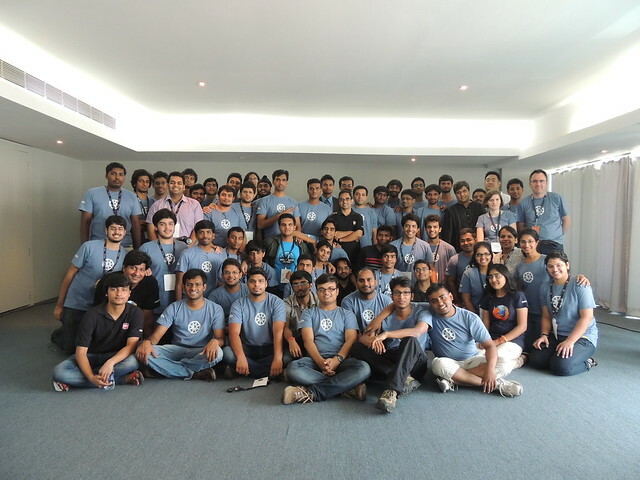 Mozilla India Community Meet! !This was the stuff going on in my head since a long time after I got the invite. On 2nd of April I started off from home sweet home, Kannur, Kerala to Chennai. Though every single time, when I sit in the railway station and see the train coming to take me from Kannur to Chennai, I always have second thoughts of running back home. But this time, it was very different. 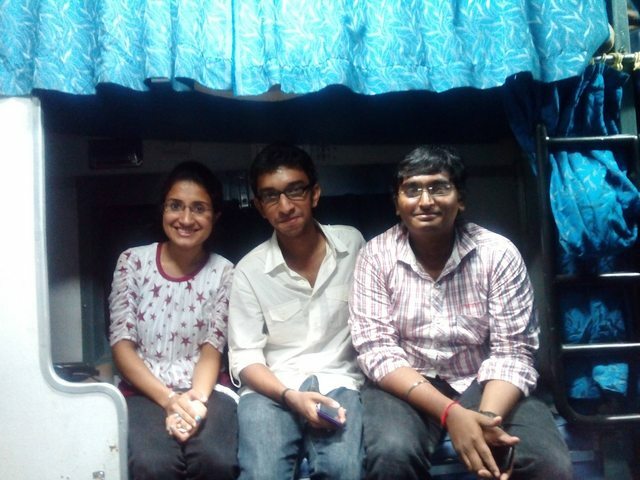 The very thought of meeting many Mozillians and having an awesome time, got be running inside the train with joy! I reached Chennai at around 6 am in the morning, came home, freshened up and got a call from Damini, “Do I have to take anything specifically?” , Nah, not required. Fastforwarding the other parts, I reached the station, met a friend of mine who lives near Chennai Central, went to the compartment. After a while Naresh reached. Damini also reached soon. We reached Secunderabad in the morning after a fun filled journey. Soon enough we reached The Park Hotel. On reaching the hotel, we checked in at the reception. We met Ankit at the reception. Later, we saw Gautham, Sayak and Vineel too. We then proceeded to our room. The view from the room was pretty good, and so was the room. We could see the beautiful Hussain Sagar lake from our room. As soon as we kept our bags, we went for breakfast because we were told that the session would start soon. We hurriedly ate our breakfast and got in to the conference hall. We entered the room to find out that it had already started. We grabbed our seats next to Brian King. I looked to my left to see Gen Kanai and Madalina Ana. It was great to see these wonderful people. Discussions were going on about the Stepping down of Brenden Eich . Mozilla hitting the media for the wrong reasons in the past week. There were sharing of views from the Community and Gen, Brian and Madalina made us aware of the importance of standing together as a community and dealing with such delicate issues. After that, Vineel briefed us on the agenda for the day and the task force that were working. 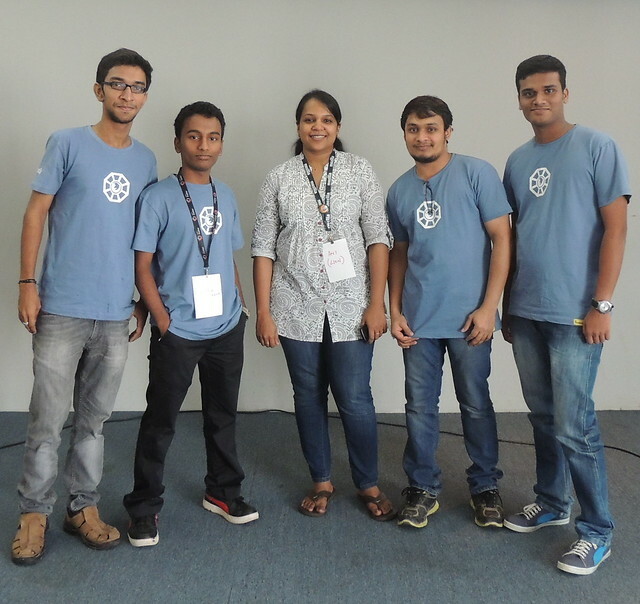 Myself and Damini joined the Webmaker Task Force while Naresh joined the Localization, which was lead by some amazing people from Red Hat. The Webmaker taskforce discussion was started by Ankit. Gauthamraj , Vikas and Tripad were the others present in the discussion apart from myself and Damini. The general idea in the first half was to give a brief on what is the particular taskforce about and it’s achievements from January 2013 to April 2014. The second half of the discussion was to brainstorm and build a roadmap for the future and set specific target and goals. The brainstorming resulted in elaborating the types of events we conducted until now, issues we faced during the events and how we could enhance the quality of the events in the future by implementing new stuffs to teach the web. After the webmaker session was done and the taskforce Mentors Gauthamraj and Ankit presented a brief session on what is the Webmaker Task force and all the activites conducted till now. After this session, there was a discussion about FSA’s by Umesh. We discussed on the problems faced by the FSA’s now and the possible ways in which we could overcome these problems. Lack of swags and budget for an event for some Firefox clubs. Permission for FSA’s to conduct events in their colleges. Swags and Budget are a very important factor. Hence, the FSA’s are initially requested to conduct few events without these so that the Local Reps in their region are confident about requesting Swags or budget to support them next time when they are in need. 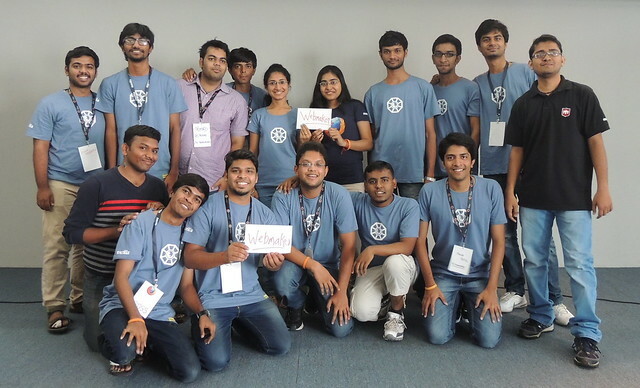 Perhaps Mozilla India could have a template of an official letter stating that the particular FSA is authorized on behalf of Mozilla India to conduct the event in their University or College. After that , Galaxy discussed about the Events , Campaign and Logistics task force. Jafar gave insights on the Design as well as Social media Task force. The details about Technical and Documentation task force was given by Kaustav. The day got over really quick. At night, the Mozillians walked to Ohri’s for a wonderful dinner. After the dinner, we all returned back to our rooms and retired for the day. As I was taking a shower, I heard the doorbell. I opened the door to see Sujith and Sajeev. I told them that I’ll catch up with them in a while. I got ready and went to their room to see Varun and Gaurav. We were joined by Damini and Diwanshi for breakfast. After breakfast, we all went to the Panoramic Hall for the meet. The session started off with the I am a Mozillian video. Each time the someone the face of someone present there was shown, we cheered! Gen gave a talk on Million Mozillians, which was on building a strategy to reach a Million contributors focusing on the transition from Users to contributors. After this, we went back to our respective taskforces for the discussion for the day and building the roadmap. The webmaker team got back to work! Makerparty 2014 from July 15th to September 15th. Web Literacy as a major part of Webmaker. Web Literacy Mapper: Including Web literacy in future events and taking up Mapping activities. Webmaker Mentor Tasks: All the webmaker mentors in India should prepare atleast one Popcorn or Thimble make every month so that it can be used as a template. This ensures activity of the mentors and increases the number and quality of the makes. After each event, the organizer of the event could be given access to a Google docs form where he nominates best makes from his event. Assessing the number and quality of makes, the best makes could be featured on Mozilla India Blog or maybe creating one called webmaker.mozillaindia.org(Over to technical taskforce). Considering a country like ours, where Internet and other things might not be stable, offline activites plays an important role. Some of the existing offline activities could be found on Webmaker.org with tag ‘#offline’. Importance to activities like Paper prototyping and other physical ones is needed. This would also include clear definitions of the words “Hacking” and “Remixing” which is often mistaken, especially when using tools like X Ray goggles. Appmaker to be showcased in upcoming events. This would be able to sort out the issue of advanced users who want to get involved with webmaker. 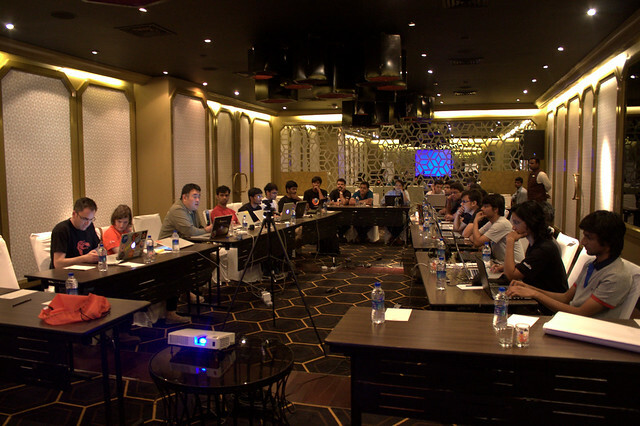 Considering the level of expertise, we could even ask them to contribute to Webmaker by giving them the link to Github. Proper process to follow up to the participants after the event is done, which would benefit in getting more contributors. Webmaker L10N: Translating the basic landing page of Webmaker into local languages. 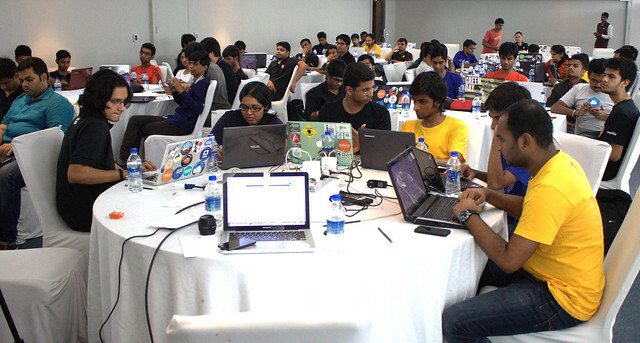 Here is the link to the etherpad: https://india.etherpad.mozilla.org/Mozilla-India-meetup-Feb14-Tracks-Webmaker? Before the end of the session, during the breaks, we got some awesome swags! After the session, we parted ways-some to their rooms, some went out, some stayed back. Me and Sujith went to his house to meet his parents. Unfortunately, they weren’t home. On our way back, we bought the thing that Hyderabad was best known for! Not pearls! It’s the Hyderabadi Biryani ! How could one come to Hyderabad and not have the Biryani! It was indeed a travel through 3 different Biryani Zones in 2 days: From Thalassery Biryani to Dindigul Thalappakatti Biryani Chennai to Hyderabadi Biryani ! 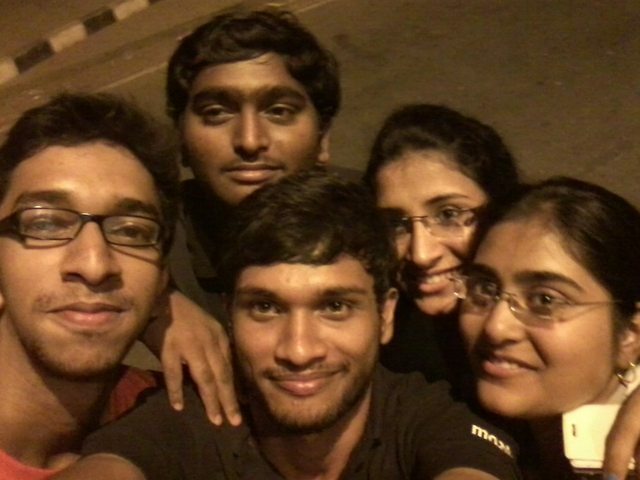 At night, we had an awesome time with Komal, Jafar, Naresh, Sujith and Damini. Discussing stories, and making fun of each other, the day was almost over. But we always have time for nightwalks. And nightwalks, means selfie time! We forced ourselves to go and sleep since we had an awesome session awaiting us the next day same day. 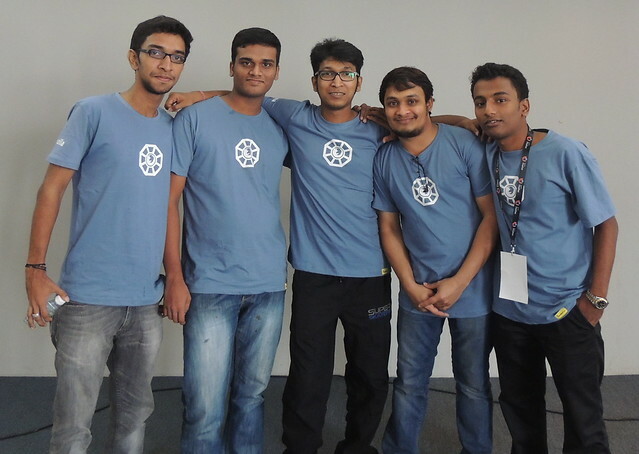 The next morning we got ready in our super awesome Mozilla India tees. Which again meant we had to take a selfie. We first had a session by Deb and Kaustav on Developer Engagement and Evangelism task force. We then had recap and highlight sessions by the taskforces. 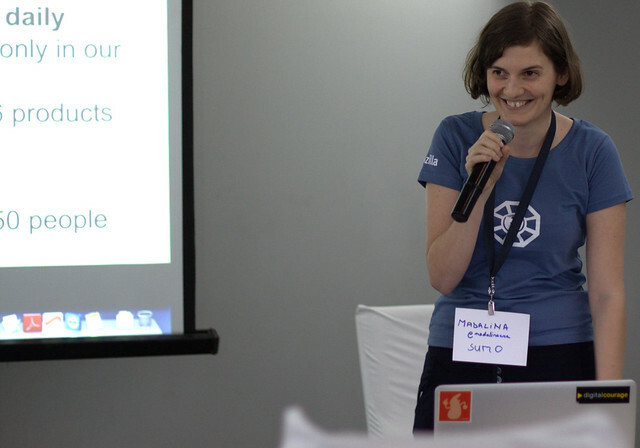 Post lunch, Madalina talked about SUMO, and the contribution from India. Gen talked about the launch of Australis. Yes! We’d love to have a launch party in India! 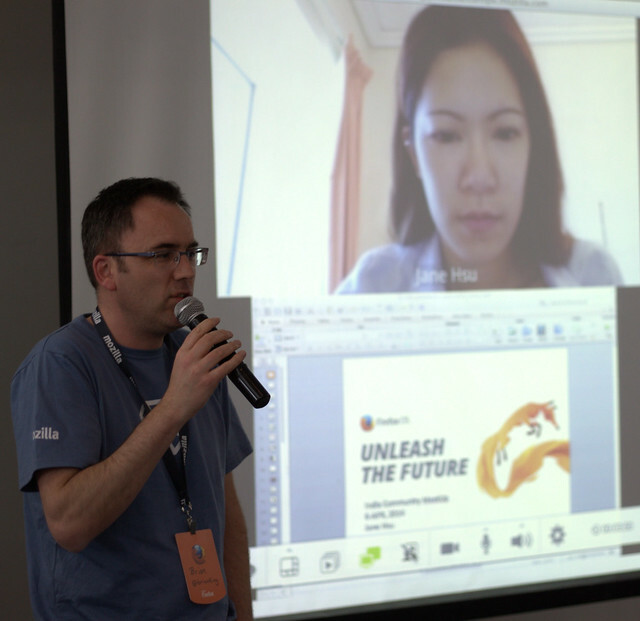 Brian and Jane talked about Firefox OS and Market research. Post the sessions, it was group pic time! Seriously awesome time with y’all. The thought of getting back to Chennai and preparing for exams was just horrifying. But then they say, good times are short lived. They also do say, When winter comes, can spring be far behind? 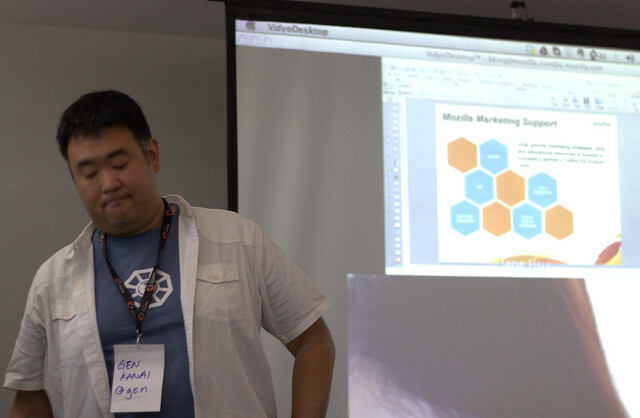 Pingback: Webmaker Super Mentor | What does the Fox say?